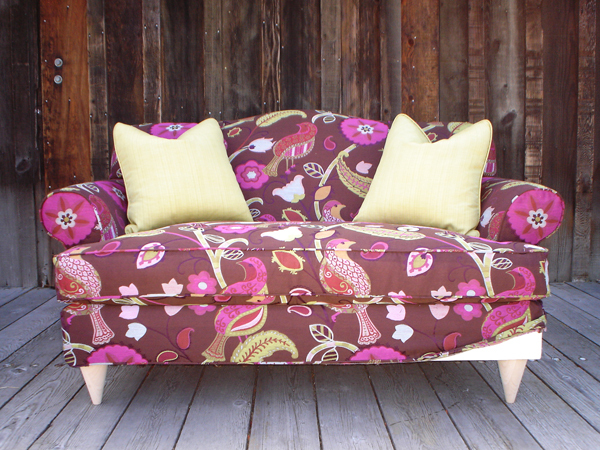 Custom made Chameleon Fine Furniture™ slipcovered “Jessica” Loveseat. 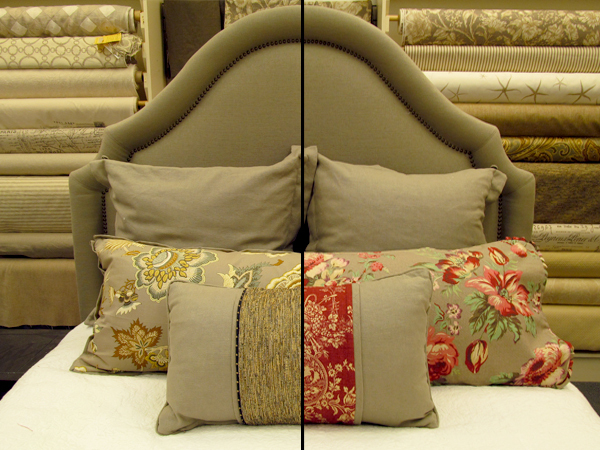 Chameleon Fine Furniture™ is custom made recyclable slipcovered furniture – built to last for a lifetime. We use 5/4 kiln-dried lumber (Oregon Alder or Poplar) from managed forests for a durable frame that will last forever. Trees will be saved because a family can buy one couch for a lifetime and be able to change the fabric covers, legs, cushions for new looks whenever they want. This is one couch that will never be found in a landfill because the frame and upholstery is never compromised over the years. With upholstered furniture, nails and staples can cause damage to the integrity of the frame each time is it reupholstered. Once a Chameleon Fine Furniture™ sofa is purchased the customer can recycle covers by selling used ones to other customers (5 documented cases). We have three inherited Chameleon Fine Furniture™pieces that have already passed down to the next generation. Chameleon Style® Decorating philosophy is based on the understanding of the nature of change, the need for us to refresh and renew. Chameleon Style® Decorating is a green mindset because it means looking at every purchase, no matter how trivial, from the perspective of how can it be used in multiple ways. It can transition to other styles in the future, and its quality will last the duration of its function.